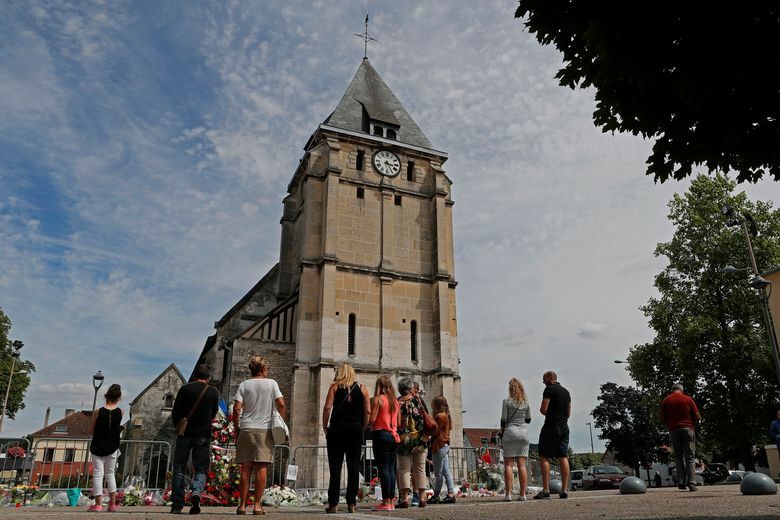 SAINT-ETIENNE-DU-ROUVRAY, France (AP) — A Normandy church where Islamic extremists slit a priest’s throat and used nuns as human shields reopened Sunday for the first time since the gruesome attack, with a special cleansing ritual and call for tolerance across religions. 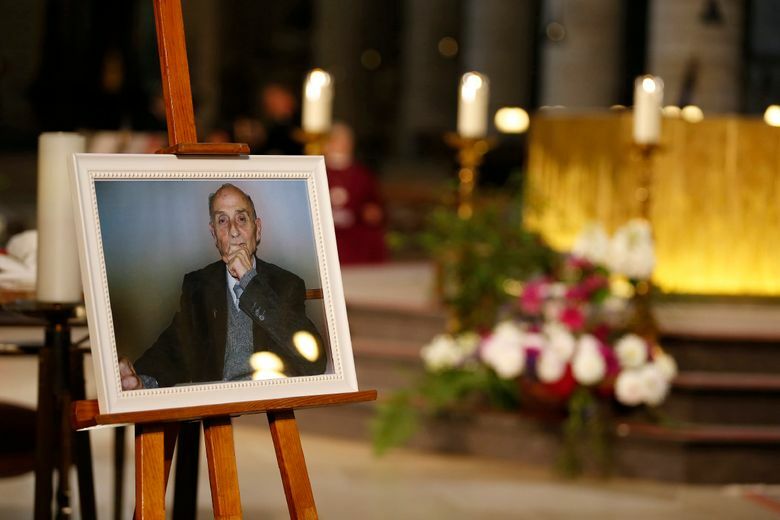 The archbishop of Rouen led a procession through the nearby town of Saint-Etienne-du-Rouvray to the Catholic church where two 19-year-old radicals killed 85-year-old priest Jacques Hamel on July 26 as he celebrated Mass on a quiet summer weekday. The Islamic State group claimed responsibility for the attack, in which two nuns and an elderly couple were held hostage before the assailants slashed the priest’s throat and seriously wounded the other man. Another nun slipped away and raised the alarm, and police fatally shot both attackers as they left the church. “We bear the tragedy of this July 26th, 2016, as an indelible scar on our common history, our national history,” he said to a crowd that included local Muslims invited to take part in the community event. Lebrun led a penitential rite to restore the sacred nature of the church, followed by a Mass attended by parishioners and other residents, including the head of the regional Muslim council and a local imam. Muslims in France and Italy attended Mass the weekend after the attack to show tolerance and solidarity. The attack was one of several targeting France over the past two years claimed by Islamic State extremists. Pope Francis honored Hamel in a Vatican Mass last month, calling him a martyr and urging all people of faith to have the courage to denounce killing in the name of religion as “satanic.” Francis said Hamel was already considered a “blessed” — the first step to possible sainthood.